Prosecutors in northern Poland presented charges Sunday against the man who designed an escape room entertainment site where five teenage girls were killed in a fire. The man, identified only as Milosz S., was charged with intentionally creating a fire danger and with unintentionally causing the deaths of the girls, said prosecutor Ryszard Gasiorowski, adding that the location’s heating system was faulty and there was no emergency evacuation route. 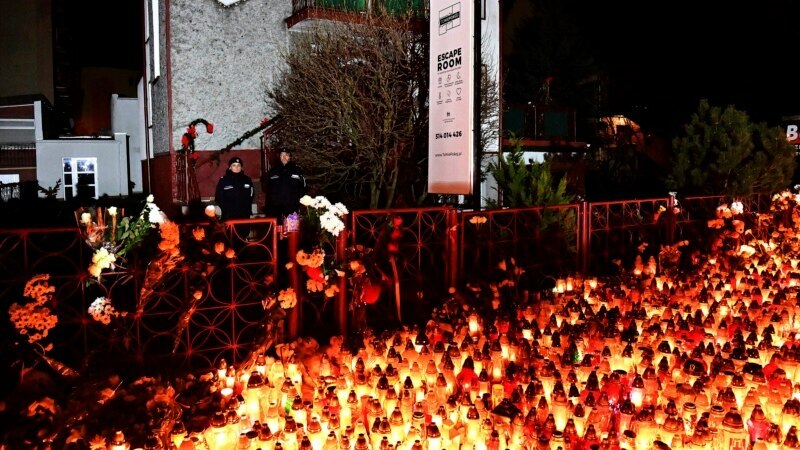 Firefighters in the city of Koszalin found the victims’ bodies Friday after they extinguished a fire next to the locked room. Autopsies showed that the girls, who were friends from school, died of carbon monoxide inhalation. A young man employed there was hospitalized with burns. He was to be questioned. Attorneys for the man charged said he was “deeply distraught” by the deaths. They said the 28-year-old denies the charges. If convicted, he could face up to eight years in prison. Prosecutors say a leaky gas container inside a heater was the most likely cause of the blaze. Since Friday, more than 200 of Poland’s 1,100 escape rooms have been checked, revealing a number of safety flaws that needed to be immediately fixed.